Caldwell Gallery Hudson, in association with the Munson-Williams-Proctor Arts Institute in Utica, NY, opens its Fall exhibition schedule with the first retrospective and sale of artist Easton Pribble’s bequest to the museum. The exhibition opens at 5pm Saturday September 12 with a reception. All are welcome. The show will run from September 12–October 25, and will feature a lifetime of work by a beloved teacher and exceptional artist. “Our gallery is honored to be working with an arts organization of the stature and mission of the Munson-Williams-Proctor Arts Institute to bring Easton Pribble’s extraordinary artistic legacy to the world,” notes gallery principal Joe Caldwell. After launching a successful career in New York, exhibiting at such prestigious galleries as The Pinacotheca and The Charles Alan Gallery in the 1950’s, Pribble moved to Central New York in 1957 to teach painting and drawing at the Munson-Williams-Proctor Arts Institute School of art. 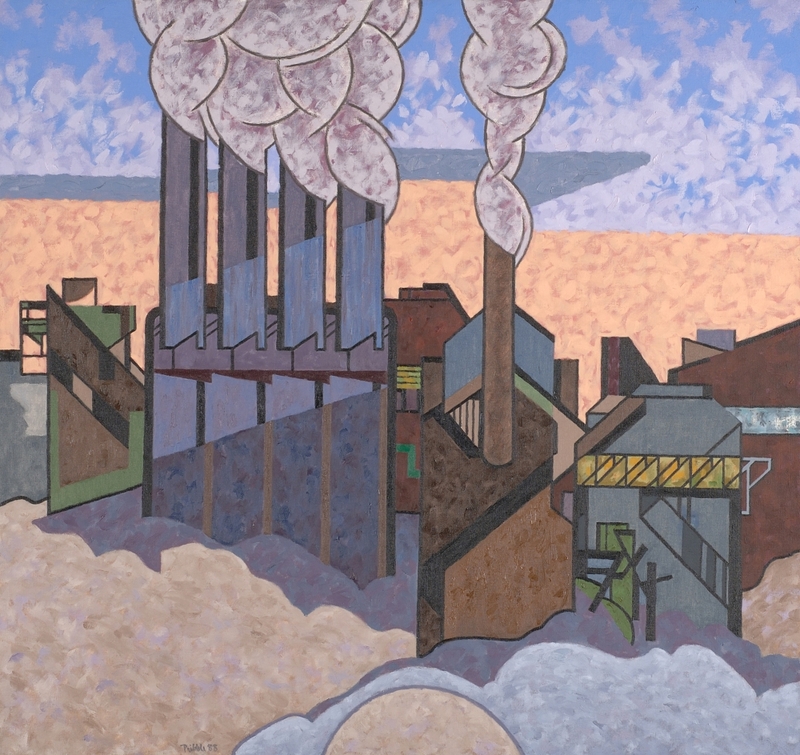 His teaching career would span more than four decades, and this steady income afforded the artist the opportunity to pursue his own art in a highly personal manner. Pribble never stopped working, and struggling to reconcile the concerns he held as an artist. “My work has been eclectic because I love the contradictions in the world around me, and the richness of those experiences” Easton Pribble. This exhibition and sale will feature more than 90 of the nearly 200 works which are available for purchase from the Easton Pribble bequest. Each work sold will benefit the museum’s art acquisition fund, which the artist generously stipulated in his bequest. This collection of Easton Pribble’s exceptional Modernist influenced artworks have never before been available for purchase.